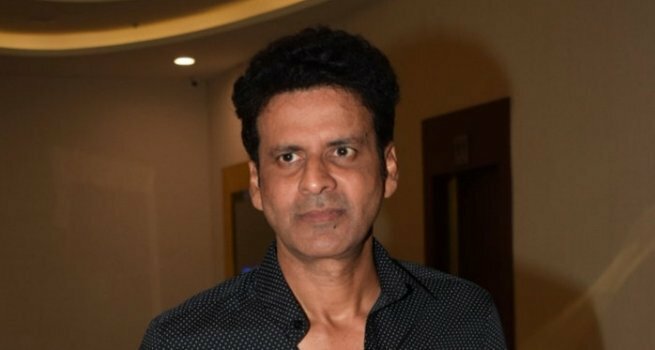 Dharamsala, Oct 17 (IANS) Acclaimed actor Manoj Bajpayee and celebrated photographer Raghu Rai will attend the seventh edition of the Dharamshala International Film Festival (DIFF). Manoj’s upcoming film “Bhonsle” will be screened and Raghu’s daughter Avani Rai’s debut documentary “A Death in the Gunj” will be presented at the gala, to be held here from November 1-4. DIFF will this year roll with Dar Gai’s “Namdev Bhau: In Search Of Silence to Open” as its opening film. Ere Gowda’s Kannada feature “Balekempa” is the closing film. Films like “Ghode Ko Jalebi Khilane Le Ja Riya Hoon”, “The Gold-Laden Sheep and the Sacred Mountain” and international films like “48 Years: Silent Dictator”, “A Long Way Home, Bamboo Dogs” and “Boom for Real” are a part of the lineup, read a statement. DIFF 2018 will focus specifically on up-and-coming filmmakers from Himachal Pradesh. The selected fellows are Rahat Mahajan, Aman Sharma, Mrinali Singha, Vaasu Soni and Kesang Thakur who will be mentored by award-winning filmmakers Gurvinder Singh and Anupama Srinivasan. The editing workshop will be mentored by internationally renowned editor Jacques Comets, and Bina Paul, Artistic Director, International Film Festival of Kerala, and producer and script and editing mentor Olivia Stewart. As for short films, filmmaker Umesh Kulkarni has curated a selection of ten shorts including “Tungrus” and “Eye Test”, which will be featured at DIFF. Indian short filmmakers Siddharth Chauhan, Sudha Padmaja Francis, Mukul Haloi, Rishi Chandna, Tarun Jain, Raghbir Singh Toor, Natesh Hagde, Abhijeet Phartiyal, Divya Unny, Pia Shah and Ajitpal Singh will also be present at the fest. DIFF 2018 will also focus on a special programme for children curated by film curator and Director of the South Asia Children’s Cinema Forum, Monica Wahi. This includes two award-winning features, “Chuskit” by Priya Ramasubban and Cross “My Heart” by Luc Picard, and four internationally acclaimed shorts, “Rammat Gammat” (Ajitpal Singh, India), “Hadia the Gift” (Sinem Sakaogl, Germany/Turkey), “Father” (Abu Adnan, Denmark) and “Beauty” (Christina Willings, Canada).